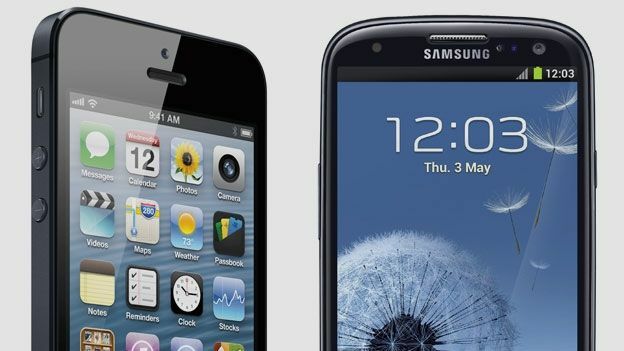 The iPhone 5 and Samsung Galaxy S3 are two of the most popular phones on the market, so it's no wonder there's friction between the two. Both are unique in their own way, but which is the most durable? Well, according to a video by insurers SquareTrade, the iPhone wins hands down. The firm carried out multiple tests on both devices to see which is the most susceptible to taking a battering. In the first test, both phones were dropped from the same height, which resulted in the iPhone 5 suffering minor scratches, while the S3's screen was smashed to smithereens. Although, in all fairness to the S3, it crash landed screen-first, while the iPhone landed on its bottom – had the roles been reversed, chances are Apple's smartphone would have suffered a similar fate. The waterproof test was fairer; both devices were dropped in a swimming pool, resulting in the iPhone carrying on as normal (albeit, it was a tad slow at responding to requests) and Samsung's blower going in total meltdown. The third and final test comprised of both devices having your average household items being dropped on them, including a rolling pin and torch. Both devices seemed to put up a good fight, although the S3's screen took an almighty blow from the bottom edge of a wine bottle and cracked on impact.